CLARIFIED: Confessed terrorist Anders Behring Breivik has been transferred from his high-security set of cells at the Ila Prison just outside Oslo to temporary quarters at Skien Prison in the county of Telemark, south of the capital. The move was spurred by a need to rebuild the area at Ila where he’s expected to remain in custody. Breivik’s defense attorney Geir Lippestad confirmed a TV2 report on Breivik’s transfer, telling Norwegian Broadcasting (NRK) that his client was moved to Skien on Monday, the day after Norwegians nationwide had marked the first anniversary of his attacks that killed 77 persons last summer. 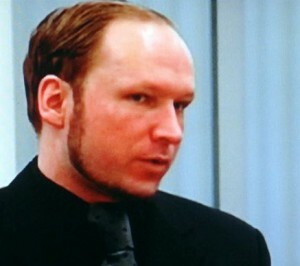 Breivik will be surrounded by a special security team and won’t be allowed any contact with other prisoners in Skien. He’s also been kept separately from other prisoners at Ila, not least out of concerns for his own security. Prison director Knut Bjarkeid told NRK that Skien also has a high-security division. In addition to rebuilding at Ila, he said there was a need to replace his prison guards with others. “We have also chosen to swap prison personnel by swapping prisons,” he told NRK. It’s expected that Breivik will be held at Skien for around 10 weeks, meaning that he’ll be there when his sentencing is announced on August 24. Breivik’s trial ended in late June and his guilt in carrying out the attacks was established long ago, when he confessed to the bombing and massacre on the island of Utøya. The court will rule on whether he’s sane and able to be sentenced to prison, or whether he’s insane and must be committed to psychiatric care instead. In either case, however, he’s likely to remain at Ila because of a lack of adequate security at Norwegian psychiatric hospitals. Editor’s note: A reader objected to our stating that Breivik’s guilt “was established long ago.” We have clarified that the “guilt” referred to in this story involves his acknowledgement shortly after the attacks that he carried them out. Breivik has, in Norwegian, “erkjent de faktiske forhold” (acknowledged the facts of the case) and confessed to carrying out the attacks. What’s at issue for the court is how he should be punished.